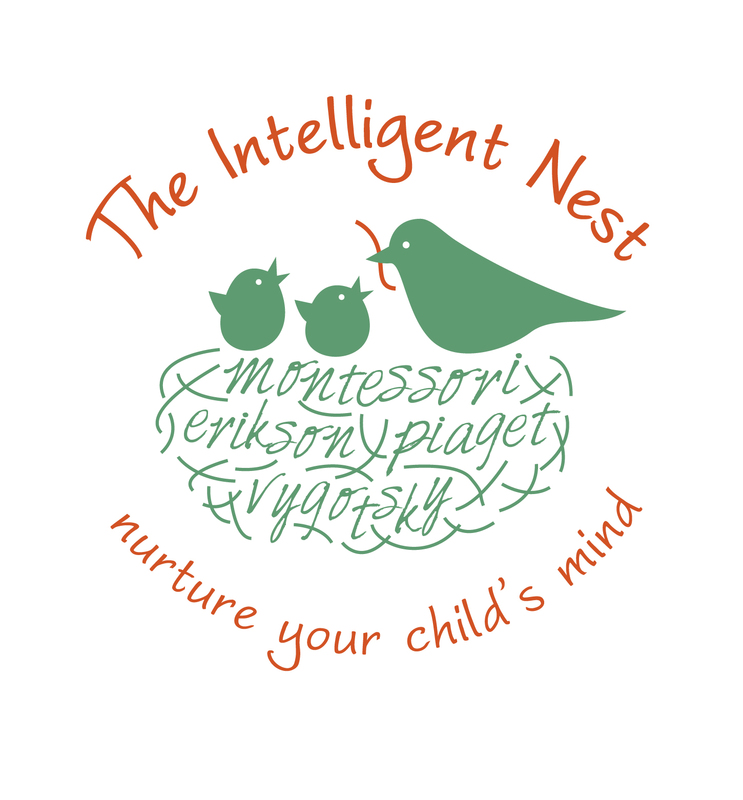 If you are interested in a home-made, low cost and versatile activity that teaches young children shapes and colors and can be a fun diversion for when you need to quickly distract your children (perhaps to take a phone call or make dinner), then read on! The following activities using foam shapes will appeal to children from ages 18 months to five years. Supplies Needed: Scissors, foam paper in different colors, 1-3 pieces of white paper or card-stock, pencil, storage baggie or container. 1) On a piece of white paper or card-stock (card-stock is best), draw a star, square, rectangle, circle, heart, diamond, oval and triangle all about 2-4 inches in diameter to use as a template. 2) Pick up several sheets of foam paper at your local craft store to create the shape cut outs. Make sure to buy a couple sheets of each color (black, white, red, yellow, orange, green, blue, purple, brown & pink.) The thicker the foam paper sheet the more durable the cut-out will be. 3) Turn on your favorite movie, grab a beverage and get to work! 4) Cut out your shape templates. 5) Using the templates as a stencil, use a pencil to trace each shape one time on each color of foam paper. When you are done, you will have every shape traced on every color. 6) Cut out all the foam shapes and store in a container or slider zip-loc bag. 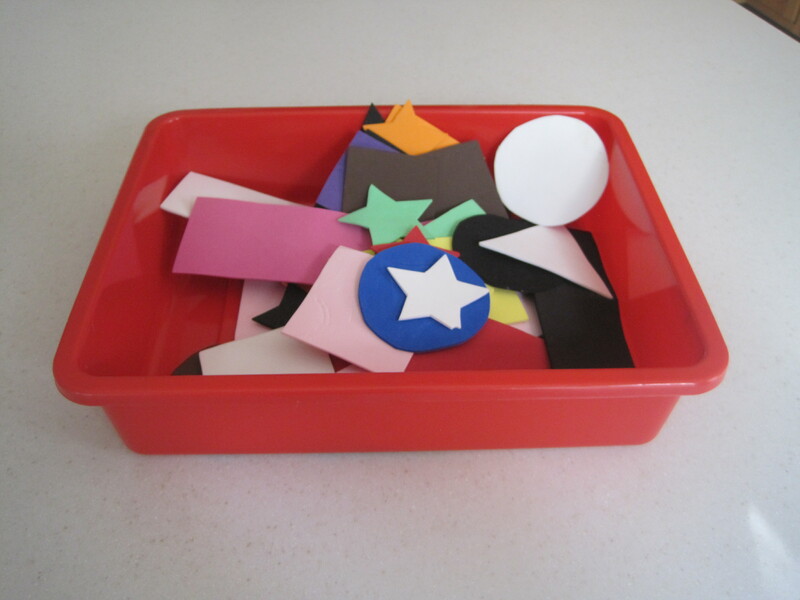 1) Simply display the shapes in a bin on the floor or on a kid-friendly table. Remind younger children to not eat/bite the shapes (as they can pose a choking hazard). 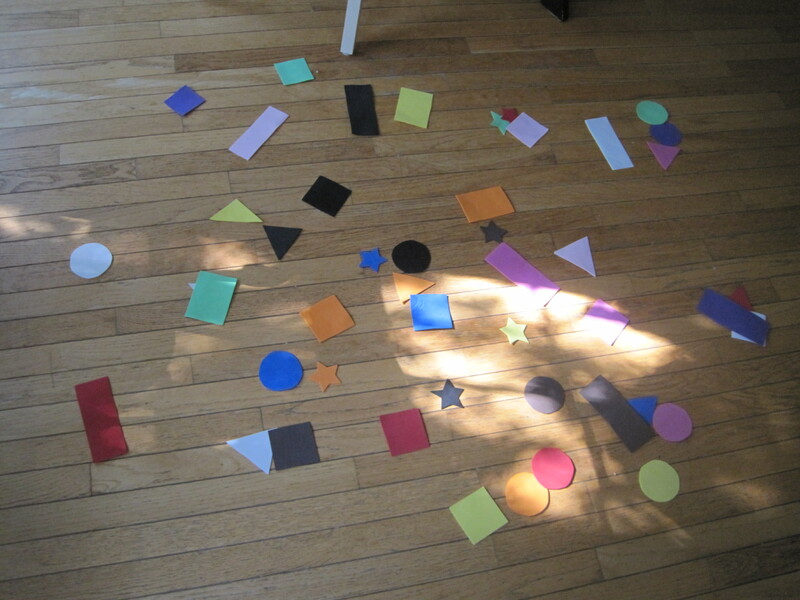 Children will create their own games with the shapes. 2) Throw the shapes on the floor, spread out so they are not piled on top of each other. Ask the children to go find all the red shapes, then blue, then green, etc… and put them back into the bin. Begin with colors they know so that as the “easy” colors go back in the bin, they are left with fewer options to help them accurately retrieve more difficult colors. Next, ask children to find the circles, square, triangles, etc… and put them back into the bin. Again, begin with easier shapes and work up to harder shapes. Most children find stars and hearts to be easy. Square and rectangle are more difficult, as are circles and ovals. Finally, you can ask your child to find, specifically, a pink heart, yellow circle, green square, etc… Older child (4-5 year olds) may enjoy racing to find a specific shape in a specific color with a sibling or friend. This is a great activity while you make dinner. The children stay busy and you can too! 3) If you have many children desiring to play (or needing to be entertained), throw the shapes on the floor, spread out so they are not piled on top of each other. Be sure there is plenty of space between each shape. Call out a color or shape and have the kids run and put their foot on one. Remind them that only one foot can be on one shape at a time. For example, “Everyone find a circle!”. Or, “Now, find a green shape.” At some point, make them laugh by calling out a shape and color that you don’t have out on the floor. Allow children to be in charge of calling out the shape or color of a round. 4) The foam shapes also work well as inexpensive pattern blocks. Sit with your child and work to build 2-dimensional objects. For instance, ask your child to help you use the shapes to make a house, car, train, etc… You can use a picture book or magazine to start, as well, and ask your child to select shapes that they see in the pictures and place them in the corresponding spot. For instance, an ad of a home in a magazine has square windows. Therefore, you select a square and place it onto the window. Some of your child’s selections may be arbitrary or not fit well, but go with the flow. Their minds is at work as long as they are actively participating. There is no right or wrong selection. 5) Begin simple pattern making with the foam shapes. This activity is best sitting on the floor so you have plenty of space to build a long pattern train. Begin by selecting two colors and alternating them in a line. After alternating about 6 times, ask your child to place the 7th shape in place. For example: red, yellow, red, yellow, red, yellow… “What comes next Charley? ?” Charley has a 50% chance of being right. Pattern recognition is a very important skill, but is also complex. If your child can’t select the right color after a couple tries while just alternating 2 colors, then perhaps it is best t select another activity and color back to pattern recognition a couple months later. If you child, can select the appropriate color then continue on! Increase the complexity by using multiple colors and shapes. Take turns being the one to create the pattern and being the one to complete it.